Rent villas and apartments in Pilar de la Horadada, Spain with private pools. Book affordable holiday rentals that are near a beach and golf course. Fully equipped open plan modern apartment. 2 spacious bedrooms. Sleeps 4. Lounge/kitchen. Bathroom. A/C. Balcony, overlooking lovely communual pool. Quiet location, 5 mins drive from local beaches. Superb 4 bedroom 2 bathroom detached villa & cottage with private pool, free WIFI, UKtv, large garden, just 450m from the beach,bars & restaurants. No car needed. All you want for a relaxing holiday!! This luxury rental holiday villa in Torre de la Horadada offers 800 m2 of accommodation for the unmatched enjoyment of up to 14 people, since it includes up to 7 bedrooms laid out across two floors. 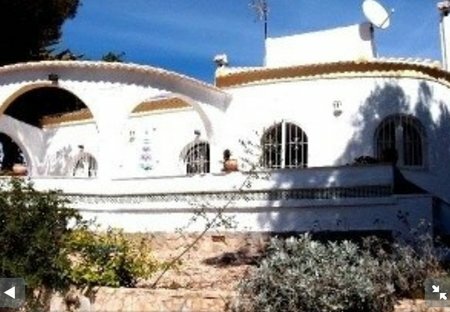 Antique and comfortable rental holiday home in Torre de La Horadada. The house was renovated in 1986 and offers space for 10 adults and 2 children under 12 years old. Beautiful detached holiday home with a private pool, in one of the best spots of Pilar de la Horadada and Pinar de Campoverde. Its original layout. This 3 bedroom villa with swimming pool is located in Mil Palmeras and sleeps 5 people. It has WiFi. The villa is within walking distance of a beach. This 3 bedroom apartment with swimming pool is located in Mil Palmeras and sleeps 6 people. It has WiFi, air conditioning and barbeque facilities. This luxury two bedroom apartment can sleep up to 6 people. It has a large solarium with sea views and a hot tub and is in walking distance to the beautiful beach. It is furnished to a high standard. This modern downstairs apartment is situated in Torre de la Horadada only 500m to the beaches of Mil Palmeras. It has two bedrooms and two shower rooms and is fully equipped for a comfortable stay. This charming top floor beach 'Vikingo model' apartment with private front garden and terrace is situated in the lovely area of Mil Palmeras within only 200 meters to the beach and all amenities! This new and modern furnished apartment is equipped with the latest standard and comfort. 2 Bedroom in a brand new development by Lamarhouse in Pilar de Horadada. Close to shops and also walking distance to the beach.